Is it possible that intelligent life forms visited Earth thousands of years ago, bringing with them technology that drastically affected the course of history and mans own development? Presented in the 1968 bestselling book Chariots of the Gods, by Erich vonDaniken, the theory of ancient aliens rocked peoples beliefs in mankinds progress. Ancient cave drawings of strange creatures, remains of landing strips in Peru, and Indian texts that describe the flying machines of the gods were just a few of the odd archaeological artifacts cited by von Daniken as proof that ancient astronauts were well known to our ancestors. 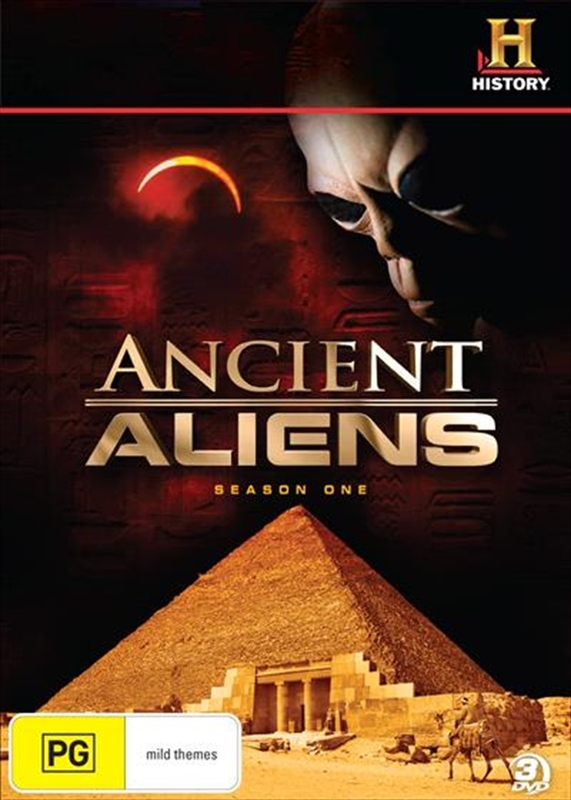 Produced with the exclusive cooperation of von Daniken himself, ANCIENT ALIENS launches all-new expeditions to seek out and evaluate this evidence, with a concentration on discoveries of the last 30 years, including unusual DNA findings on mans evolution and newly decoded artifacts from Egypt to Syria to South America. It is abalanced investigation into a theory some believe cannot be true, but many agree cannot be ignored.